Fasting was not only prescribed to Muslims (adherents of the Quran) but was also prescribed to nations before the revelation to Prophet Muhammad (peace be upon him). This was to enable them to be of the 'tattaqun'. The Arabic word 'Tattaqun' is derived from its root Waw-Qaf-Ya and means to preserve, to guard against evil, to show self-restraint and to observe Divine commands in one's life. 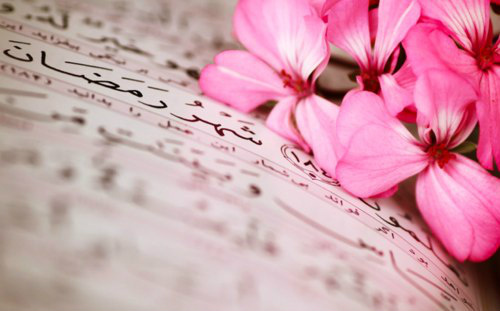 The root forms common Arabic words such as ‘taqwa’. The reason for fasting is made clear in this verse as to enable one to be of those that show self-restraint and guard against evil. However, it was the initiation of revelation (Quran) on a blessed night (Night of Decree 97:1) in the month of Ramadan (2:185) which was the reason why fasting was prescribed in this particular month. The Quran was revealed as a blessed guidance and a mercy from God to His creation in which He imparted truth, judgement and the balance (meezan). The Quran invites one to ‘taqwa’ and complete devotion to the Only One True God of the Universe. The Quran as a complete message is an open invitation to 'taqwa' and submission to His will. Here we invariably note the link with fasting and why fasting has been prescribed in this particular month so that we may also give thanks for His guidance. There are simply no 'shortcuts' to salvation. An individual's endeavour should remain consistent and one which strives with patience.